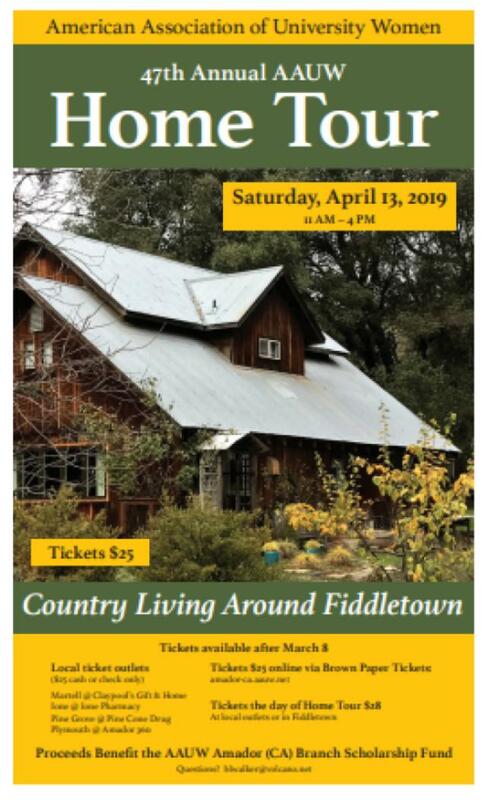 “Country Living Around Fiddletown” is the theme of the 47th Annual AAUW Home Tour in Amador County. 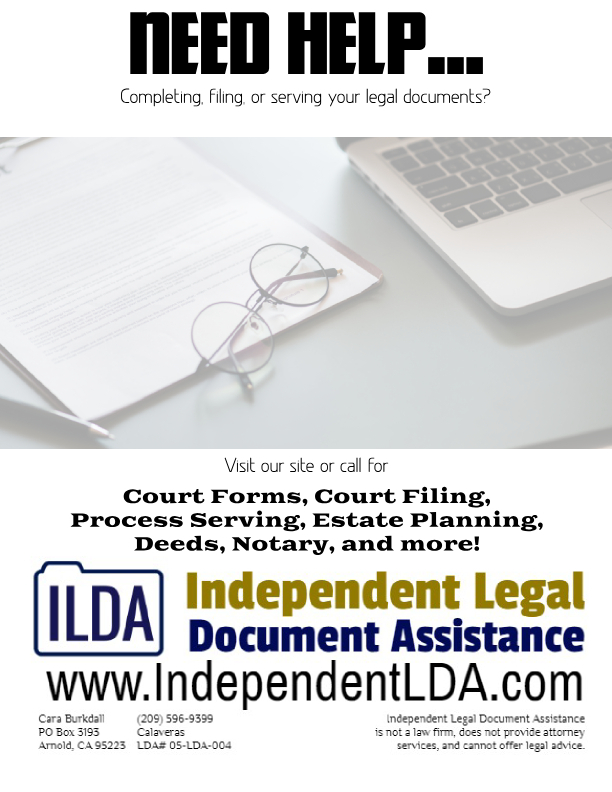 It will be held on Saturday, April 13, 2019, from 11 AM to 4 PM in the small Gold Rush town of Fiddletown. Fiddletown began as a mining camp during the height of the Gold Rush then evolved into a trading center for mining camps and farms in nearby Shenandoah Valley. Many historic buildings remain in the center of Fiddletown, including evidence of a Chinese population in the late 1800’s and early 20th century. On April 13, the public will have an opportunity to view how Fiddletown has been preserved along with more modern styles of living including many energy efficient features. The driving Tour includes five homes each with their own unique qualities: a custom log home, an environmentally friendly prefabricated home, a contemporary farmhouse, a rustic home set on an organic farm and a modern ranch home. The Chew Kee Store that was inhabited by Chinese residents for over 100 years will also be available for touring with knowledgeable docents available to share historical information about the Store. The traditional Home Tour Tea with homemade cookies will be offered in the Fiddletown Community Center. Our member’s Art Show will be on display as you enter the facility where you may purchase various forms of artwork. Continuing with a new event that debuted last year, raffle baskets prepared by AAUW interest groups and others will be available. 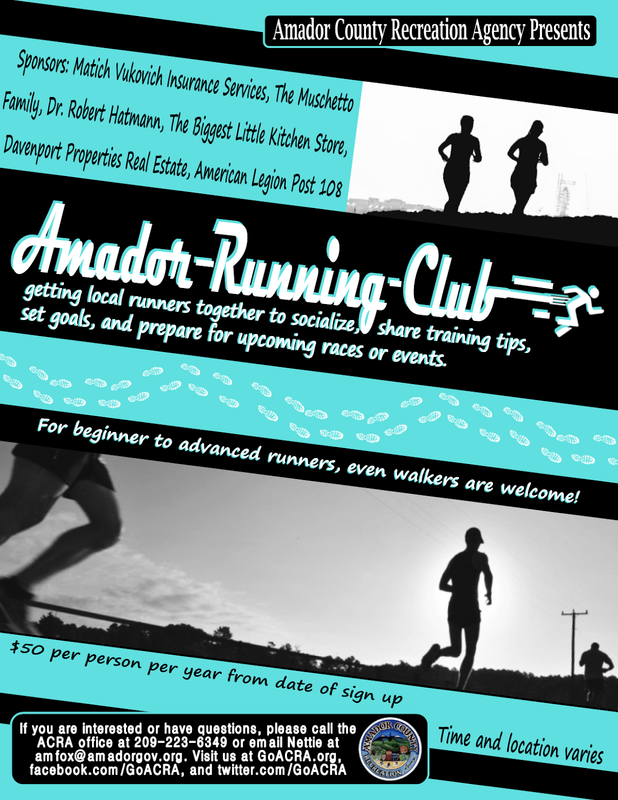 Proceeds from the Tour benefit the Amador Branch scholarship program for local girls and women. Junior high school girls have opportunities to attend Tech Trek, a summer math-science camp and scholarships are provided at the community college and upper division levels. Tickets are available March 8 at local outlets and online. Advance tickets are $25 and $28 the day of the Tour. For more information go to: amador-ca.aauw.net/home-tour, or email: blwalker@volcano.net.